ZANheadgear Digital ACU Camouflage Neoprene Half Facemask | BUDK.com - Knives & Swords At The Lowest Prices! 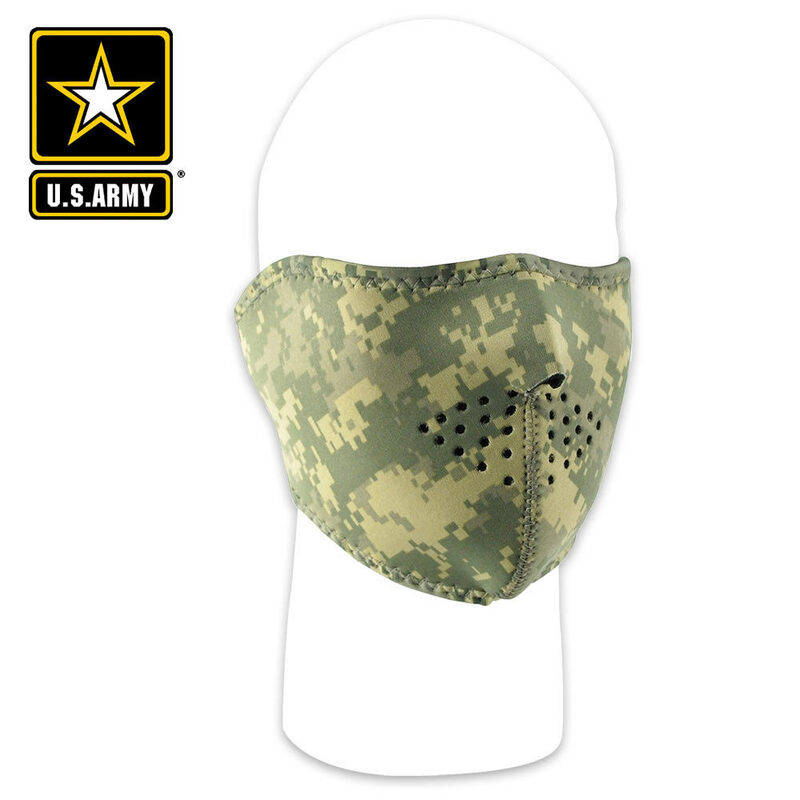 This ACU digital camo facemask offers full nose, chin and cheek coverage in a unique, military-style camo pattern. The water-resistant neoprene construction is soft, cool and built to last. The well bound nylon edges are comfortable and provide durability. The hook and loop closure ensures a quality, custom fit. It's reversible, so you can turn it inside out for a black mask. 70% neoprene; 30% polyester.